Texting and driving is a rapidly growing trend that claims far too many lives each day. Whether traveling at high speeds on the interstate or cruising down a familiar road, using a phone behind the wheel is a dangerous distraction. Not only that, it is against the law in North Carolina. Sadly, this doesn’t stop most, as a study found that 77% of young adults say they feel confident that they can safely text while driving. This notion of invincibility is a true epidemic and causes nearly 25% of all car crashes. Have you been involved in a serious accident where texting and driving was cited as the cause? You may be able to file a claim against the negligent driver, seeking compensation for your damages. 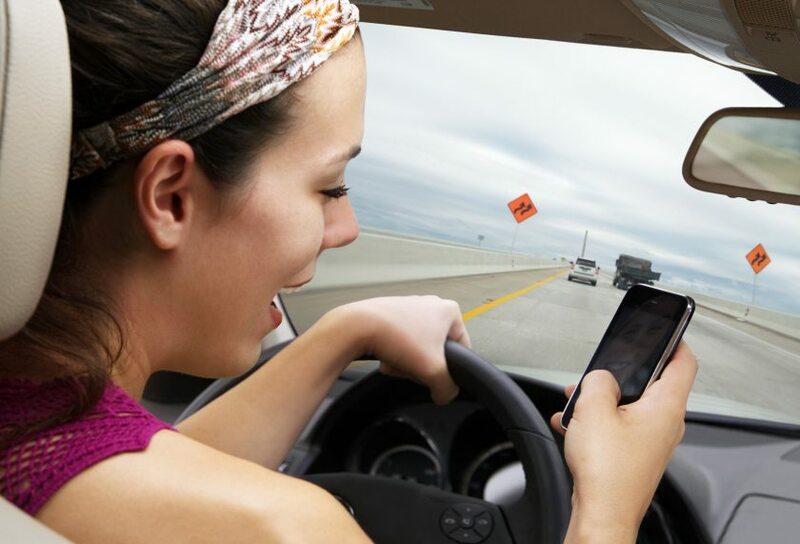 While all drivers can fall victim to the temptation to check a text or send a quick response, it is young drivers (ages 16-24) who report the highest level of phone-related crashes. A lack of experience coupled with a distraction like texting often proves to be a deadly combination. In addition to texting while driving being the leading cause of teen deaths, many young people have to deal with the life-changing effects of knowing their actions caused someone else a great deal of pain and suffering. Five seconds is the average time your eyes are off the road while texting (enough time to cover the length of a football field). A crash typically happens within an average of three seconds after a driver is distracted. Texting makes a crash 23 times more likely. 1 in 5 drivers admitted to surfing the web while driving. Texting makes someone about 6 times more likely to cause an accident than driving intoxicated. The driver that caused your accident has likely already incurred some punishment for breaking the law, but this does not mean the case is closed. If you were seriously injured or lost a loved one due to the negligence of someone else, a personal injury attorney may be able to help you take legal action to recover a variety of costs including personal property damage, medical bills, lost wages, and pain and suffering. Located in Greensboro, NC, Ward Black Law holds negligent parties accountable for their actions so you can focus on recovering from your accident. Contact us today for a free case review.